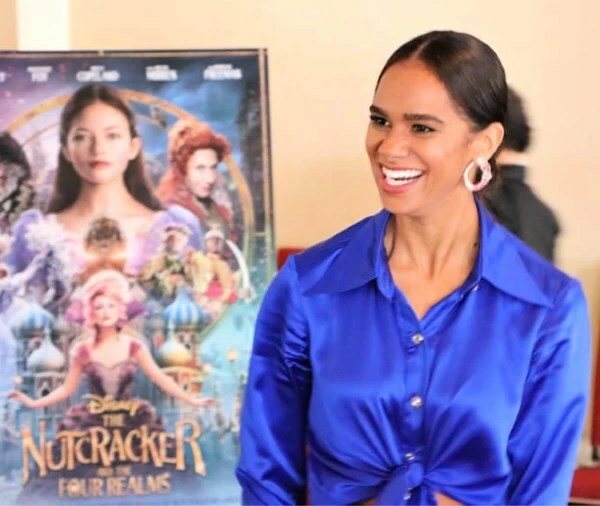 As a former dancer myself, who dreamed of becoming a prima ballerina as a girl, meeting Misty Copeland at the World Premiere of Disney’s The Nutcracker and the Four Realms thrilled me to the core. 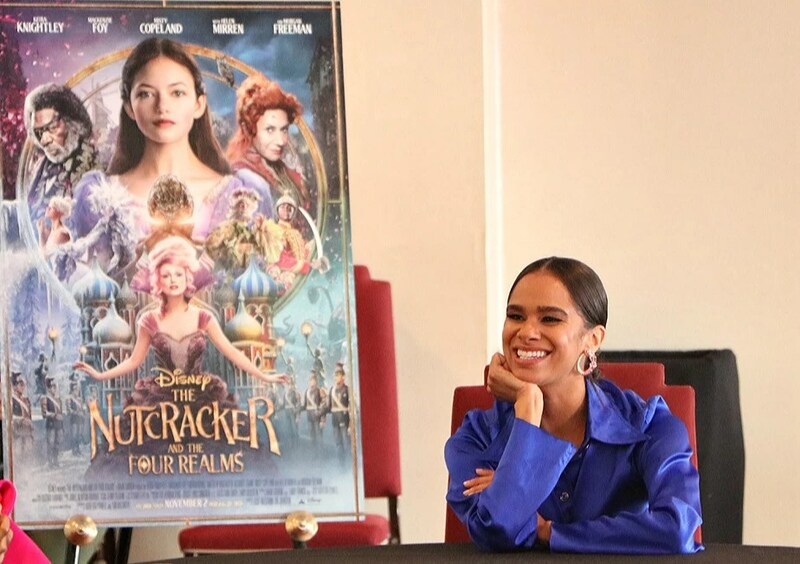 Misty soars as the Ballerina Princess in the film, which is in theaters now, and, in fact, if you stay for the credits, you’ll get a special bonus treat as she dances during a good bit of those, too. Don’t miss it! 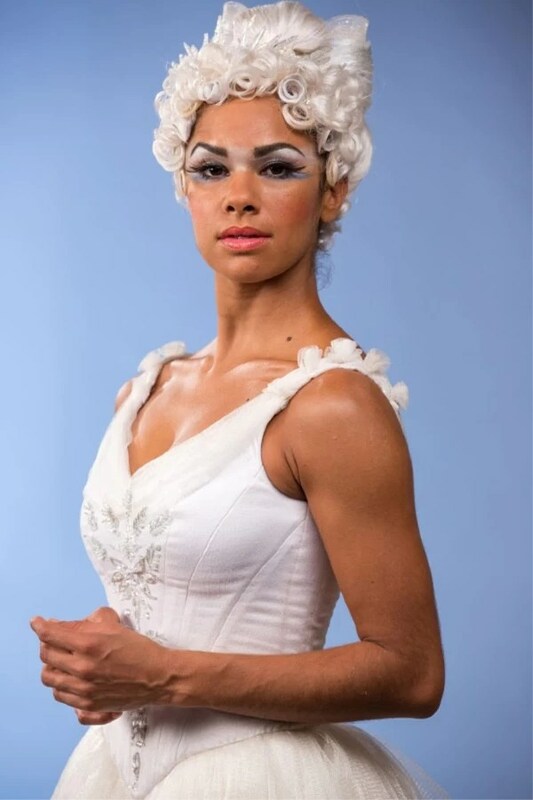 You may already know about Misty because of her fame as a principal dancer with the American Ballet Theater. But you may not know how she got into dance. I didn’t and I’d love to tell you just a little bit about that. But first, I just have to tell you that Misty was so lovely to meet. She is kind, generous, and very down to earth. You may be shocked to learn that Misty didn’t even start dancing until she was thirteen years old. She joined a ballet class at the local Boys’ and Girls’ Club of America in San Pedro, California. She told us she wore baggy basketball shorts and admits she didn’t think it was going to work out at first. But she came to love dance, and she would encourage anyone who finds something they are passionate about to go for it, it’s never too late. Here’s a short featurette I thought you might enjoy watching. 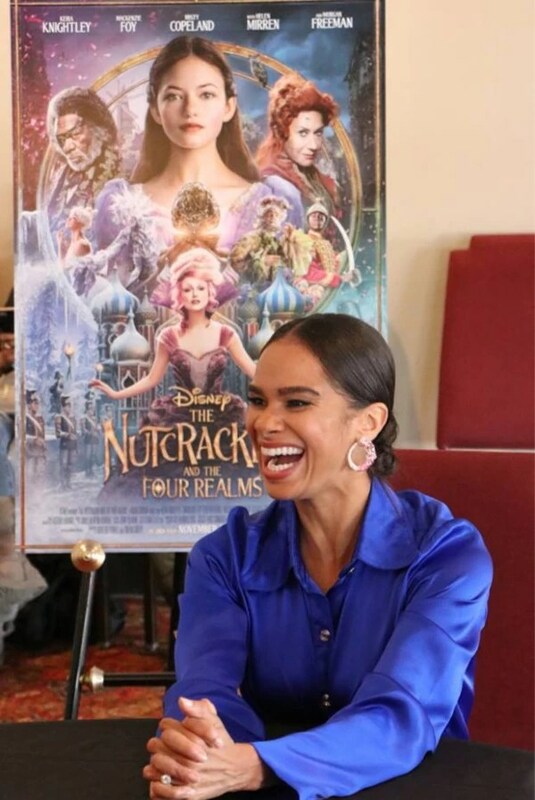 Be sure to go see Misty in the film and follow The Nutcracker and the Four Realms on Facebook, Twitter and Instagram here. For behind the scenes photos and more fun, check out the #DisneysNutcrackerEvent on social media.